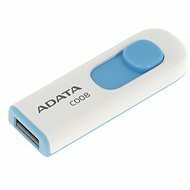 A high-quality, reliable USB flash drive by A-Data in a sleek black design and a practical slide-out connector with a comfortably large button. For data storage, it offers a capacity of 8GB. This plug-in connector is commonly used with USB 2.0. Of course, the flash drive is compatible with most commonly used Microsoft Windows and Apple Mac OS systems without the need to install drivers. You only plug in the flash drive and in a few moments, it is ready to be used as another hard drive on your computer. 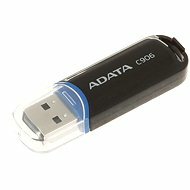 For shipping to other EU countries visit this page ADATA C008 8GB black. Für Versand nach Deutschland, besuchen Sie bitte ADATA C008 8GB schwarz. Chcete doručit zboží do Česka? Prohlédněte si ADATA C008 8GB černý. Chcete doručiť tovar na Slovensko? Prezrite si ADATA C008 8GB čierny. 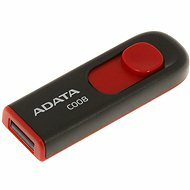 Für Versand nach Österreich, besuchen Sie bitte ADATA C008 8GB schwarz. Magyarországra történő kiszállításért tekintse meg ezt a termékoldalt: ADATA C008 8GB fekete.